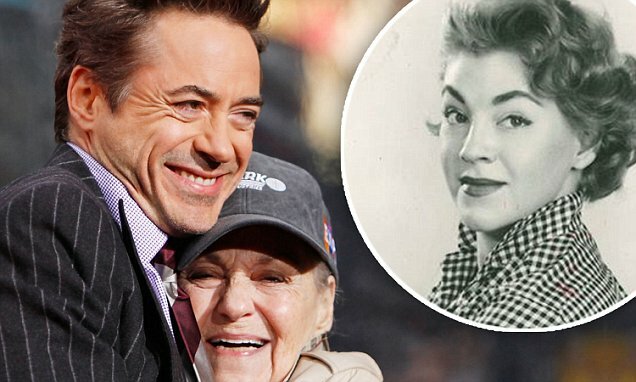 Upon the recent passing of his inspiring mother, Robert Downey Jr. posted HERstory on Facebook – a story which is deserving of being shared. She actually passed away September 22nd, 2014 and I was very moved by this touching tribute. I believe you will be also. Elsie Ann Ford was born outside Pittsburgh in April of 1934, daughter of an engineer who worked on the Panama Canal, and mother who ran a jewelry shop in Huntingdon, where they settled… a bona fide “Daughter of the American Revolution”. “Chafed Elbows” (a man marries his mother and goes on welfare), “Greaser’s Palace (a woman relentlessly persecuted by God who never utters a word), and “Moment to Moment” AKA “Two Tons of Turquoise To Taos Tonight” (in which she played 17 characters) were the stand outs. As the marriage suffered, she continued to work, but not for long. A recurring role on “Mary Hartman, Mary Hartman” (’76-’77) was her last paying job… not that she cared; she’d have done it for free. While I strived to have the kind of success that eluded her, my own addiction repeatedly forbade it. In the summer of 2004, I was in bad shape. She called me out of the blue, and I admitted everything. I don’t remember what she said, but I haven’t drank or used since. Many fond memories of her in the last few years… holidays, kid-stuff, her strutting around with a walking stick. I knew it was difficult, and understood as the visits got shorter. In March, she suffered another cardiac arrest and was put on life support. Her wishes were to be left to die if there wasn’t a reasonable chance of recovery, which for sometime there was. I returned from filming the “Avengers” sequel in June, went straight to see her. To my amazement, she was completely lucid, interactive, mugging + pulling faces. We couldn’t speak ‘cause she had a tracheal tube. I wondered if she just might beat the odds once more. My ambition, tenacity, loyalty, moods, “grandiosity”, occasional passive aggression, and my faith… That’s all her… and I wouldn’t have it any other way. This has been reposted from Robert Downey Jr.’s Facebook. This entry was posted in Inspirational, Mother, Wife, Women and tagged Actor, Elise Ann Downey, Grandmother, herstory, inspiration, Inspired by my mom, inspiring story, Mother, Robert Downey Jr., tribute. Bookmark the permalink.